Every year over the holidays I like to make an appearance at the offices of our clients with a treat of some sort. In the past, it has been beer from one of the breweries we work with or a retail product from one client to gift to others. This year, while trying to get into the spirit of the season, realizing that nobody really NEEDS a damn thing and stressing about how I can tie in what I do at Brand Yourself with a gift that would relate to everyone -- I came to the conclusion that if I really looked at what was most important about what I do for my clients and tried to encompass that into a gift, I would be gifting STORY. Story is what I am lucky enough to tell for each and every one of my clients. I tell stories in lots of ways. Visually, using (new) logos, photos, and videos. Through written word, with website copy and blog posts. I share lots of stories on social media. Behind the scenes stuff has been pretty popular (take a peek at our award-winning campaign for CCB). Story is what I do. I am also realizing through the process of telling everyone else's story that I lack the consistency and confidence to share my own. This year, I'm committing to reclaiming MY story. I am excited to continue to inspire you on how you all can share your stories on social media and through other digital methods while working to let everyone in on my own. As many people have said to me -- 2018 is going to be my year. Anyhoo -- back to my holiday gifts. 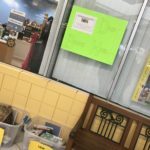 This year, I partnered with Content Bookstore, to donate stories to children in the Northfield area through the Northfield Promise Community Book Drive. I hustled myself over to Bridgewater Elementary School to drop off a few loads of new books just in time for the winter break deadline. 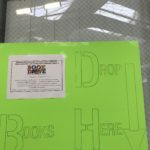 I'm looking forward to seeing the final numbers -- I hear it is over 3,000 books collected this year! I'm sure all of my generous clients who didn't receive a crowler this year will forgive me and be grateful for the donation in their names. 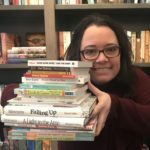 I'm sure all of the kiddos who get to read "Falling Up" at the doctor's office will be delighted at some new stories to share when they aren't feeling so hot. And I sure am grateful for the stories I get to tell and those that I haven't learned about yet. Thank you everyone, and Happy New Year! Brand Yourself Client Receives National Public Affairs Award! Welcome, Lindy Wifler to the Brand Yourself team!